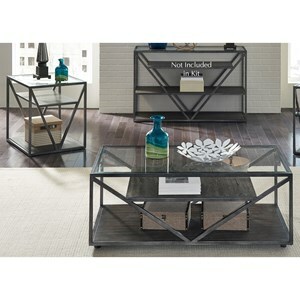 This transitional cocktail table presents unique design for your living room space. 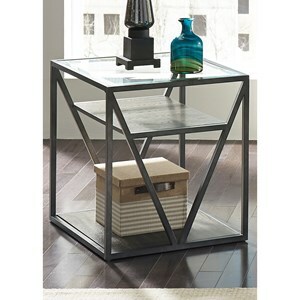 Featuring a glass top, the table showcases a bottom wood shelf and smaller wood middle shelf for extended storage. 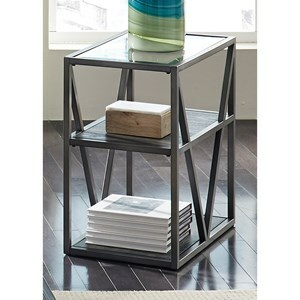 Perfect for drinks, magazines or other small items, the table is completed with casters for extended mobility. 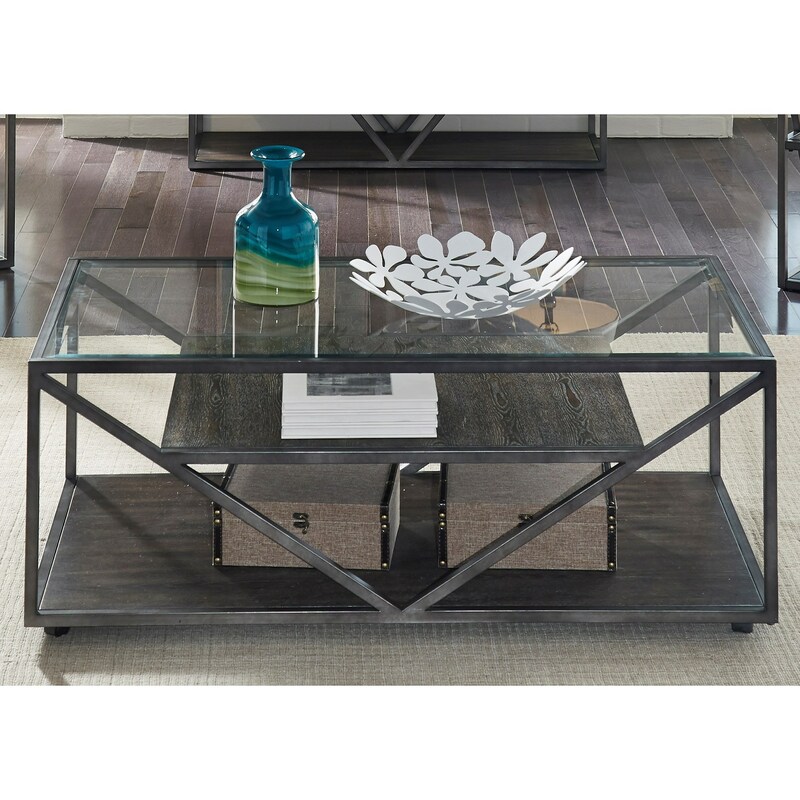 The Arista Occasional Rectangular Cocktail Table with Glass Top by Liberty Furniture at Hudson's Furniture in the Tampa, St Petersburg, Orlando, Ormond Beach & Sarasota Florida area. Product availability may vary. Contact us for the most current availability on this product. Wood & Finish Cobblestone brown finish with gray dusty wax hang-up. Case Construction Ash veneer and metal tube framing. 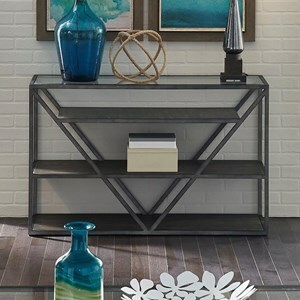 Browse other items in the Arista Occasional collection from Hudson's Furniture in the Tampa, St Petersburg, Orlando, Ormond Beach & Sarasota Florida area.